With 708 exhibitors from 305 exhibiting companies and organisations in Asia, IT&CM China and CTW 2019 just started as the leading international MICE event in China (19 – 21 March 2019). The 3-day business event is held in Shanghai, China at the Shanghai Convention & Exhibition Center. It´s bringing together Chinese and international MICE exhibitors & buyers in one place. IT&CM China so far is the platform for international and leading Chinese players in the MICE industry to explore business opportunities on all fronts – inbound, outbound and domestic. The exhibition is a very unique event and showcases the strong role of the MICE industry for the Chinese MICE-destinations, e.g. in Beijing, Changchun, Changsha, Chengdu, Chongqing, Dalian, Dunhuang, Gyeonggi, Hainan, Hong Kong SAR, Jeju, Macau SAR, Okinawa, QingDao, Sichuan, Shanghai, Tianjin, Wuxi, Xiamen, Yichang and Zhengzhou. Mr. Darren Ng, Managing Director of TTG Asia Media, Mr. Yang Fan, Deputy General Manager of CITS International MICE Co, Ltd and Jason Ng, Executive Director of MP Shanghai were opening the show at the Official Opening Ceremony at the Hilton Shanghai Hongqiao. Also 493 international buyers (19% International – 81% China) from 26 territories: Australia, Belgium, China PR, France, Germany, Hong Kong SAR, India, Indonesia, Israel, Japan, Macao SAR, Malaysia, Mexico, New Zealand, Philippines, Poland, Russian Federation, Singapore, South Africa, South Korea, Switzerland, Thailand, United Arab Emirates, United Kingdom, United States and Viet Nam. Altogether 55 national and international media were covering the show. They come from China PR, Denmark, Germany, India, Indonesia, Jordan, Malaysia, Singapore, South Africa, Sri Lanka and Taiwan. Organizers and Keynote-Speakers after the first session. Since 2015, CTW China has been the market’s answer to the proliferation of business travel & entertainment (T&E) activities from Chinese-grown companies and multi-national corporations based in China. This market-driven event is thus dedicated to raising the sophistication of Chinese corporate travel professionals who manage the T&E needs for their organisations. By localising best global practices and cultivating a sustainable expert and peer-sharing knowledge support network, CTW China is at the helm of enabling local influencers, planners and decision makers of corporate travel functions to get the most of their T&E decisions. 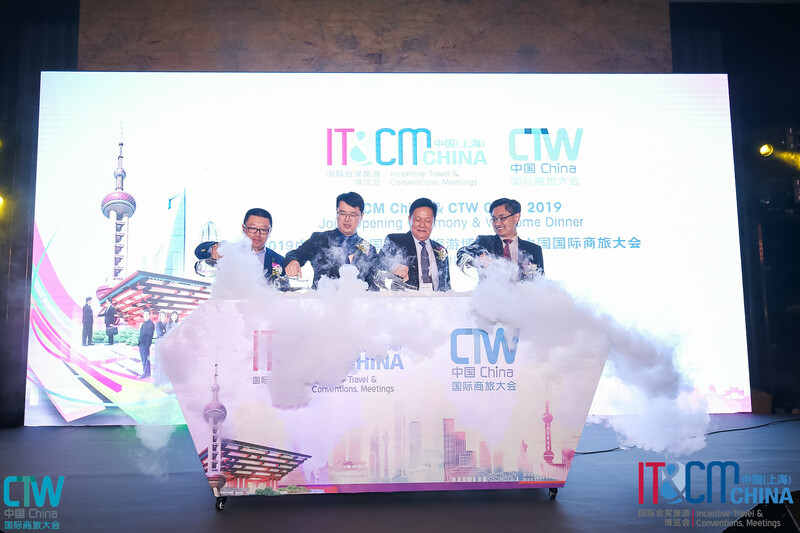 As China’s Only Doublebill Event In MICE and Corporate Travel, IT&CM China and CTW China are part of the IT&CM and CTW Events series by TTG Events, a business group of TTG Asia Media.